Preeclampsia, in all of its forms, can mean a lot of testing, both during and after pregnancy. Have you ever wondered why your healthcare provider is running so many tests? Or what those tests mean? This guide explains what tests may be done during and after pregnancy, when, and why. Preeclampsia is a complication of pregnancy that can happen to any woman, in any pregnancy. While preeclampsia most often occurs during a first pregnancy, it can occur in any pregnancy. Preeclampsia is diagnosed by persistent high blood pressure that develops for the first time after mid-pregnancy or right after delivery. It is usually associated with either high levels of protein in the urine and/or the new development of decreased blood platelets, trouble with the kidneys or liver, fluid in the lungs, or signs of brain trouble such as severe headache and/or visual disturbances. When you become pregnant, you have regular visits with your provider who routinely checks your blood pressure to make sure it isn’t too high. A urine sample is also usually tested at each visit with a dipstick to make sure your kidneys are healthy. Any excess amount of protein found in a urine sample is known as proteinuria, and may or may not be present in patients who are diagnosed with preeclampsia. Prenatal visits are scheduled closer together near the end of the pregnancy. At 32 weeks in an uncomplicated pregnancy, visits are usually every two weeks; at 36 weeks they become weekly. Patient with higher risks are seen more frequently. Your healthcare provider should measure your blood pressure at each prenatal appointment. This should be done after you’ve been sitting comfortably for a few minutes, with the cuff on your upper bare arm at heart level, your arm and back supported, and your feet flat on the floor. Pressure can vary in different arms, so ask your caregivers to use the same arm every time. High blood pressure is traditionally defined as blood pressure of 140/90 or greater, measured on two separate occasions six hours apart. Severe high blood pressure, which is a reading at or greater than 160/110, requires treatment right away both during pregnancy and in the first weeks after delivery. Healthy kidneys don’t allow a significant amount of protein to pass into the urine. If protein is detected in your urine dipstick screening test, you may be asked to collect all of your urine in a jug for 12 or 24 hours to determine the amount of protein being lost. (Store the jug in the refrigerator or a cooler full of ice in your bathroom.) This urine will be tested to see if you are passing more than 300 mg of protein in a day. Any amount of protein in your urine over 300 mg in one day may indicate preeclampsia. However, the amount of protein doesn’t define how severe the preeclampsia is or may get. Alternatively, your provider may do a "spot check" to immediately check levels of protein compared to creatinine, also an indicator of kidney health. A protein:creatinine ratio over .3 mg/dl is roughly the equivalent of 300 mg of proteinuria (or more) over 24 hours. Women may have blood drawn and tested for a complete blood count (CBC) with platelet count and assessment of creatinine, liver enzyme levels, and sometimes uric acid. This blood work provides a baseline that your providers can monitor. If you experience symptoms of severe preeclampsia, most providers will draw blood again to compare and look for changes in your liver and platelets. In severe forms of preeclampsia (such as HELLP syndrome), your red blood cells can be damaged or destroyed to produce a type of anemia. Your liver enzymes (the AST and ALT) can rise substantially, and your platelets can fall below the normal range (most often 150,000-400,000) as determined by the laboratory. This blood test may be called a “preeclampsia panel”, “HELLP workup”, or “PIH labs” by your providers. Most providers also routinely weigh you to assess whether your weight gain is within the normal range. 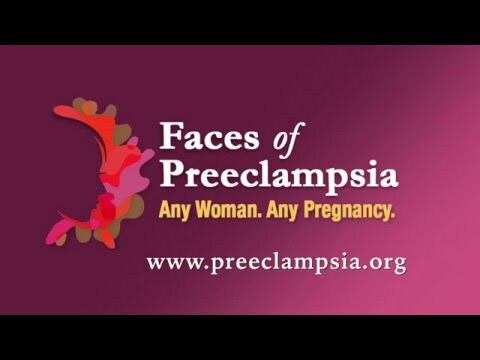 Although swelling can be normal in pregnancy, swelling in your face and hands and sudden weight gain (three to five pounds or more in a week) sometimes precedes signs of preeclampsia. There are many biomarker tests being developed to predict or diagnose preeclampsia. While none of these have been widely accepted into practice in the U.S., your provider may use such a test to augment their clinical judgment. One of these tests measures levels of a protein called PAPP-A. A low level of PAPP-A is associated with pregnancy complications like preeclampsia, but it’s not very good at predicting if you will get it. A low PAPP-A level can be a marker of higher risk, but it doesn’t mean you'll definitely get preeclampsia. Another screening test can check a pregnant woman for fetal AFP levels. Short for alpha-fetoprotein, AFP is a plasma protein found in the fetus. High AFP suggests placental injury and a risk for Intrauterine Growth Restriction (IUGR), which refers to a condition in which an unborn baby is smaller than it should be because it’s not growing at a normal rate inside the womb. In some countries, a blood test (not yet available in the United States) measures the ratio between two proteins found in the placenta (sFLT and PIGF) to predict which women suspected of preeclampsia will develop the condition in the near future or have adverse outcomes. If your provider’s clinical judgment, with or without any of these tests, suggests you may develop preeclampsia, your provider may recommend more frequent and thorough monitoring of you and your baby. Often signs (like abnormal lab values or high blood pressure) and symptoms (such as headache, swelling, vision issues, etc.) of preeclampsia mean that your baby may be more closely monitored as well. You may be scheduled for more frequent ultrasounds or non-stress tests (NST) to make sure the baby’s growth isn’t affected and that blood flow through the umbilical cord and placenta is normal. If symptoms appear rapidly toward the end of your pregnancy or during delivery, you may receive continuous fetal monitoring in the hospital. Preeclampsia symptoms can also appear for the first time after delivery, sometimes even without having symptoms before the birth of your baby. You should tell your provider if you experience any symptoms such as a severe headache, visual changes, stomach pain, difficulty breathing or chest pain, or nausea. A medically complicated delivery may also require you to stay in the hospital for at least two or three days longer than normal, until the symptoms begin to go away and other indicators are trending toward normal (even if they aren’t normal yet). Blood pressure changes can vary. In some patients, blood pressure may drop quickly, or be highest about three to six days after delivery, or take a few weeks to become normal. The American College of Obstetricians and Gynecologists recommends that your blood pressure be checked three days and then 10 days after delivery – this can be done at home or in the hospital or healthcare provider's office. If your blood pressure is high three months after delivery, you should see a doctor who provides regular care for women who develop chronic hypertension (e.g., an internist, a maternal-fetal medicine subspecialist, or an OB/GYN specialist). Many women choose to take their own blood pressure at home with a personal cuff, and to record the numbers in a chart for their providers to see. If you do this be sure to record the date and time of each reading. Remember, preeclampsia can appear up to six weeks after delivery even if you haven’t had symptoms during your pregnancy. Find more on postpartum preeclampsia here. After pregnancy, you and your provider may decide to pursue additional tests to uncover underlying conditions that may have contributed to you developing preeclampsia. Some women show symptoms of autoimmune conditions after delivery, where the woman's immune system responds to her own healthy cells as if they are threats. If you develop chronic symptoms like fever, tiredness, headache, swelling, aches, clammy skin, rashes, abrupt weight gain or loss, or if you develop a blood clot, follow up with your doctor and mention that your pregnancy history might be related to your symptoms. However, you can have these symptoms and a history of preeclampsia, and not have any autoimmune conditions. If you develop autoimmune thyroid problems, they need to be treated. If you have symptoms such as a racing pulse or anxiety, your provider can run a thyroid panel blood test and analyze your numbers. Thyroid-stimulating hormone (also known as TSH) is a pituitary hormone that stimulates the thyroid gland to produce thyroxine (T4), and then triiodothyronine (T3) that stimulates the metabolism of almost every tissue in the body. After an evaluation of your symptoms, TSH levels, T3 and T4 balance, and presence of thyroid antibodies, you may need treatment. Women with antiphospholipid antibodies, including women with lupus, are more likely to have recurrent pregnancy loss, develop blood clots when they’re not pregnant, and experience pregnancy complications such as preeclampsia. If your pregnancy history includes multiple miscarriages, miscarriages after 12 weeks of pregnancy, or preeclampsia before 34 weeks, you may be evaluated for lupus anticoagulant, anticardiolipin antibodies, and beta 2 glycoprotein antibodies. You may be given blood thinners in any future pregnancies to lower your risk of developing a clot. Women who have developed blood clots in their legs or lungs, and who have a history of preeclampsia, may be tested for hereditary blood clotting conditions like Factor V Leiden, PAI 4G/4G, or the MTHFR polymorphisms. Doctors vary in how they choose to treat women who test positive for any of these. Your kidneys after preeclampsia will almost always take some time to heal, but they should go back to normal after delivery. Some women, especially those rare few who needed dialysis after delivery, may need several more tests to make sure their kidneys have healed. Kidney function is generally assessed by serum creatinine. Your creatinine levels might sometimes resolve, but not your proteinuria count. Your provider should check your kidney function until it returns to normal and your protein levels resolve. If your creatinine and proteinuria levels do not return to normal by six months, or if it gets worse, you should be seen by a kidney specialist (a nephrologist). Women who have had preeclampsia in pregnancy may be at higher risk of heart disease, stroke, diabetes, renal failure, clot formation, and chronic high blood pressure later in life. Talk to your doctor every year at your well-woman visit about your preeclampsia risk factor. Annual monitoring of your weight, blood pressure, blood sugar, and cholesterol is an important way to stay healthy. The American Heart Association includes preeclampsia on its list of risk factors for heart disease and stroke. Evaluation for risk of later-life cardiovascular disease requires consideration by the provider and patient. The American College of Obstetricians and Gynecologists advises that women with a history of preeclampsia (who gave birth before 37 weeks of gestation) or who have a history of recurrent preeclampsia get a yearly assessment of blood pressure, lipids, fasting blood glucose, and body mass index.